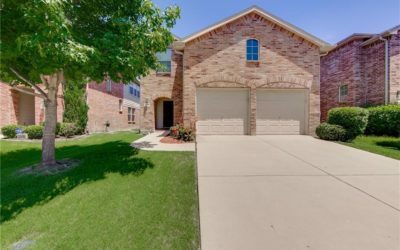 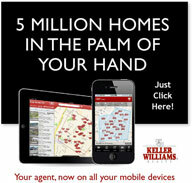 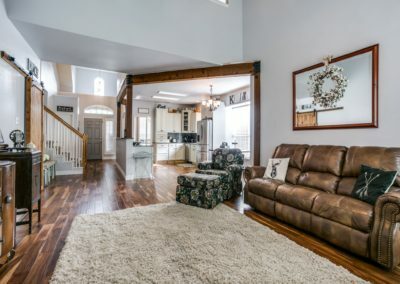 You will LOVE this home. 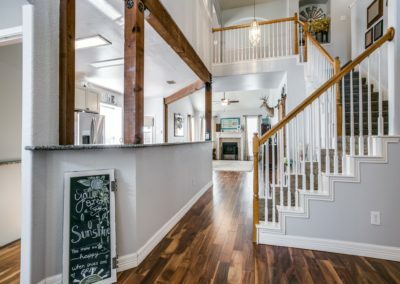 As soon as you walk in you feel welcome. 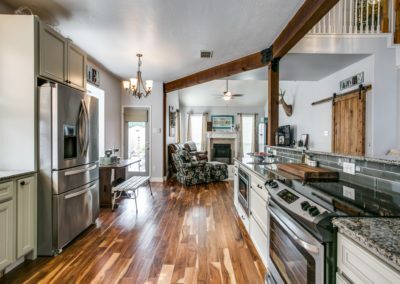 Open, sensible floorplan. 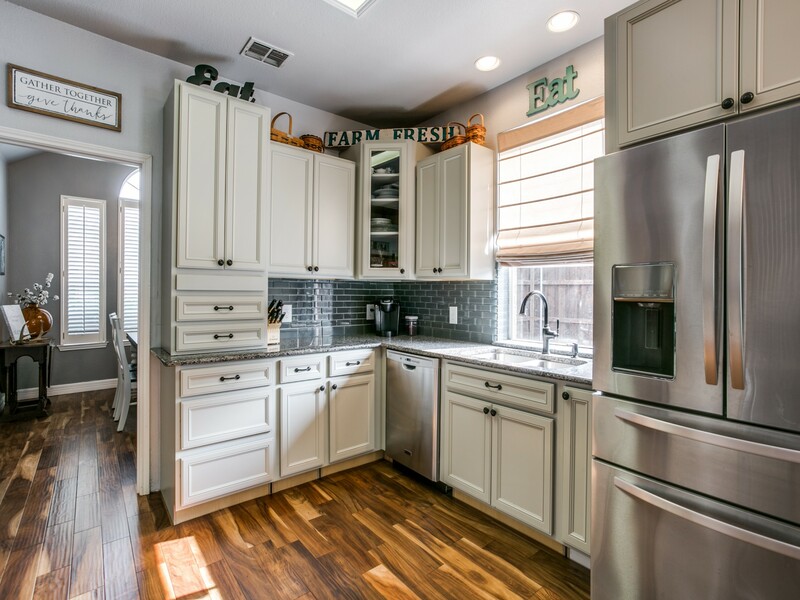 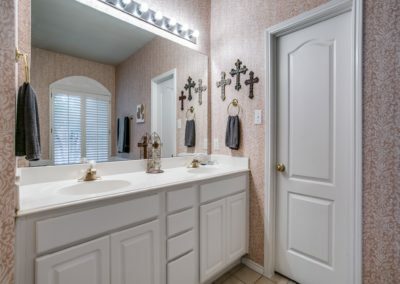 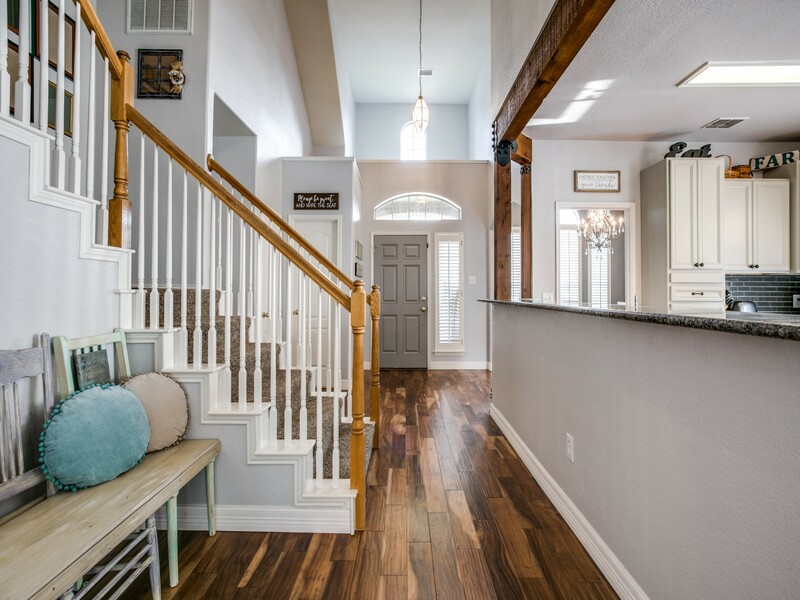 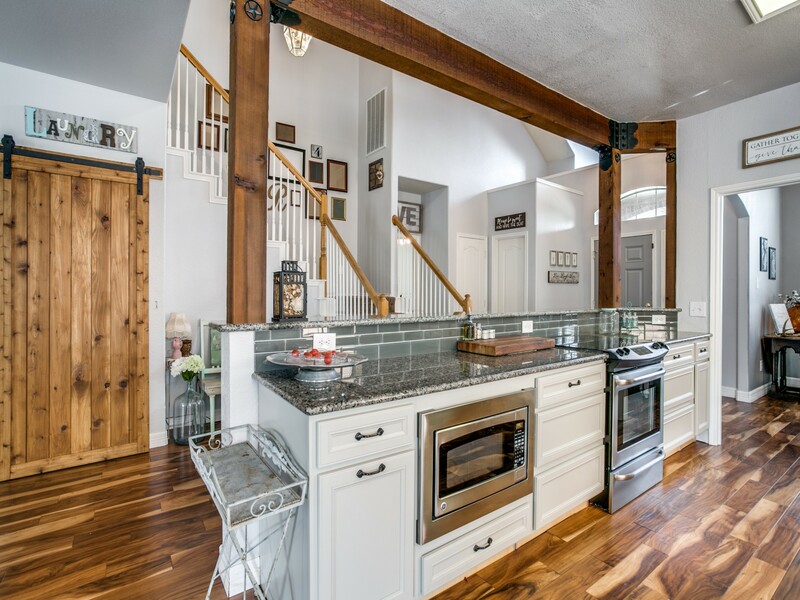 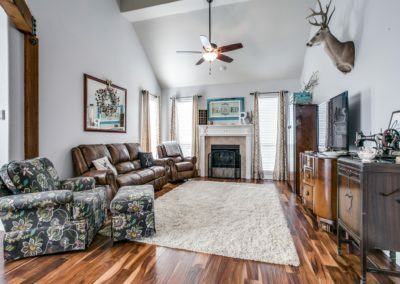 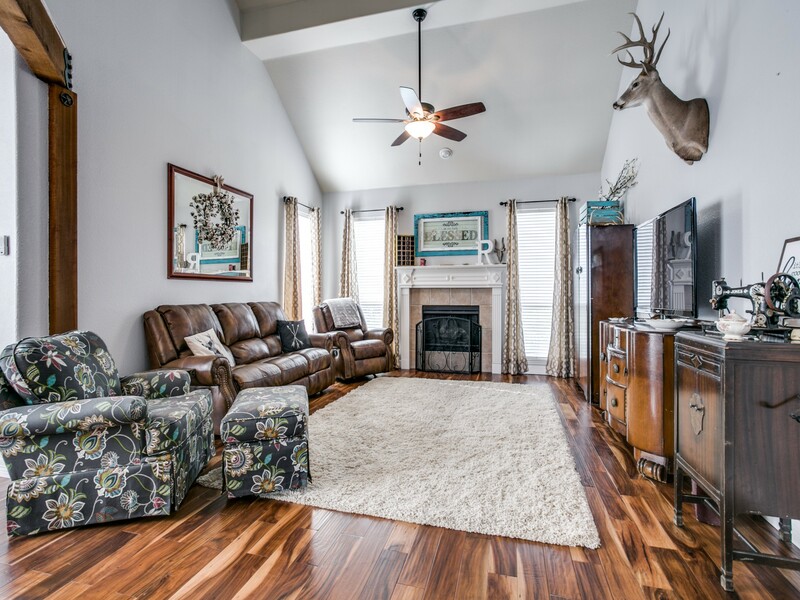 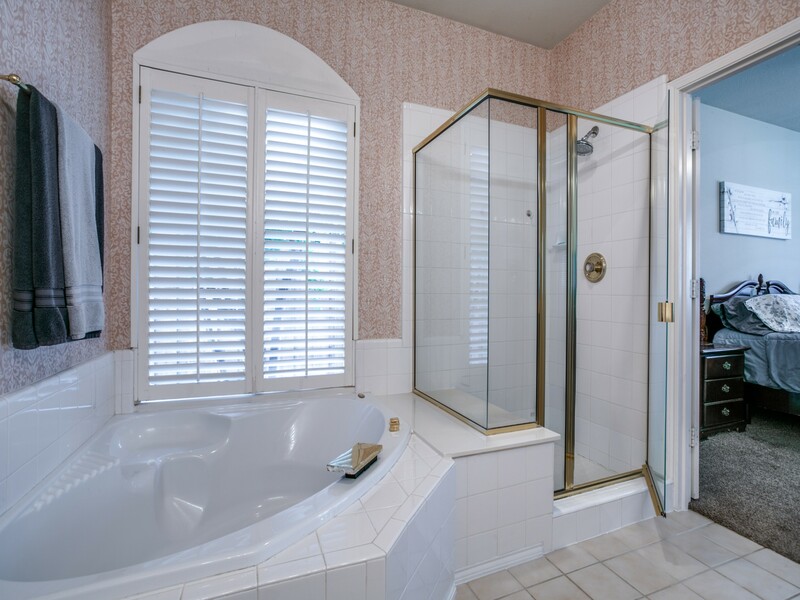 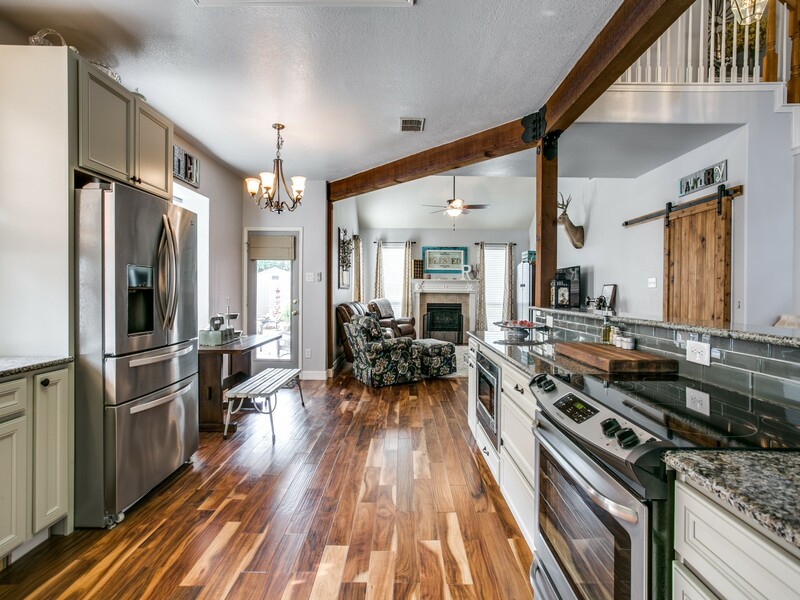 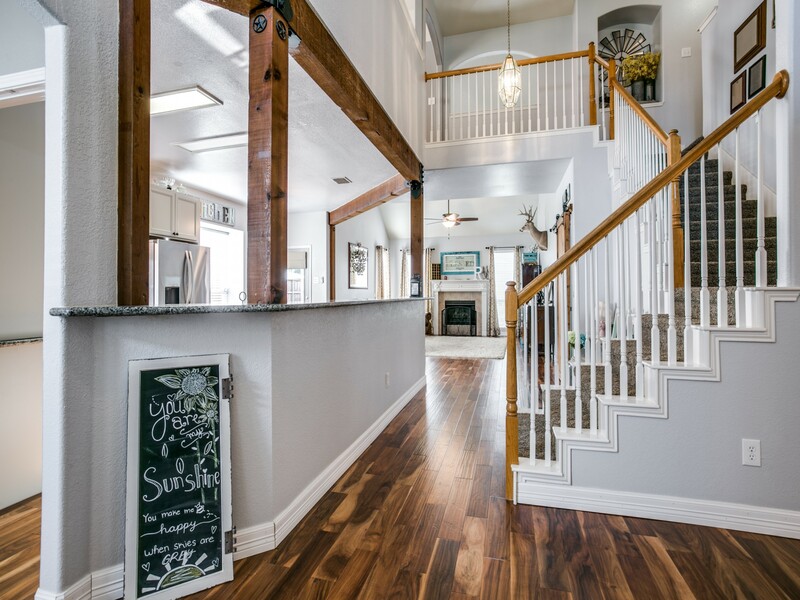 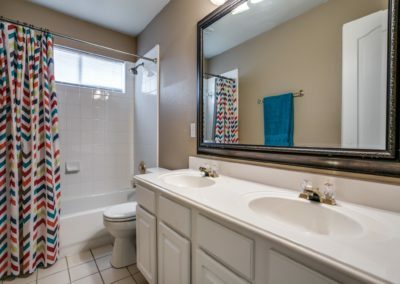 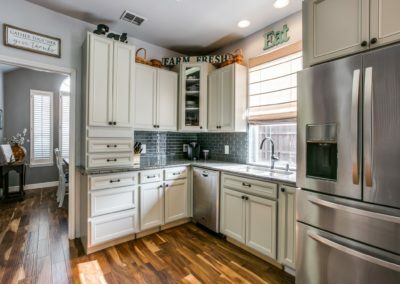 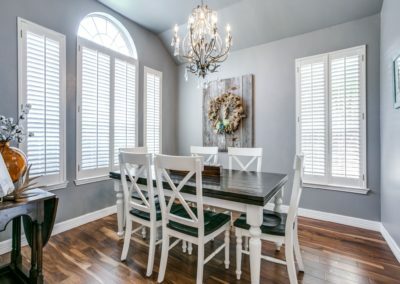 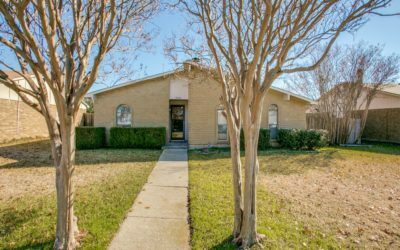 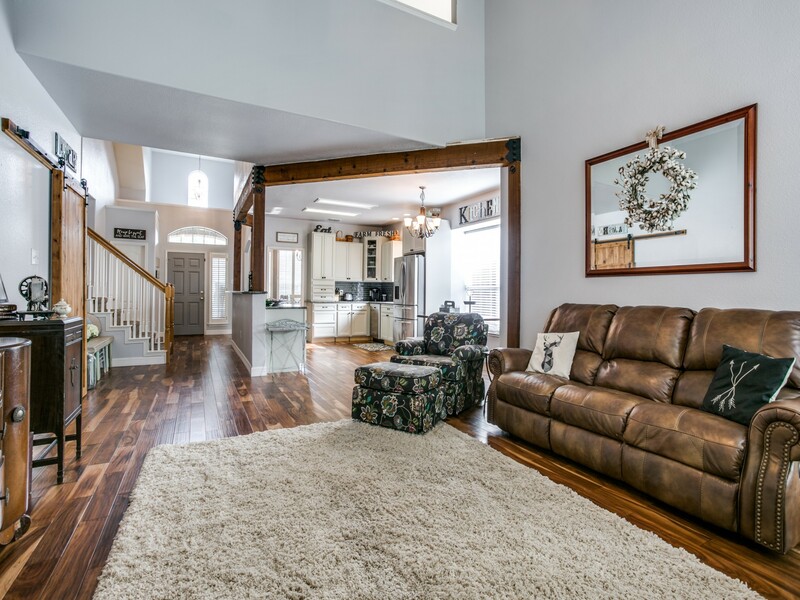 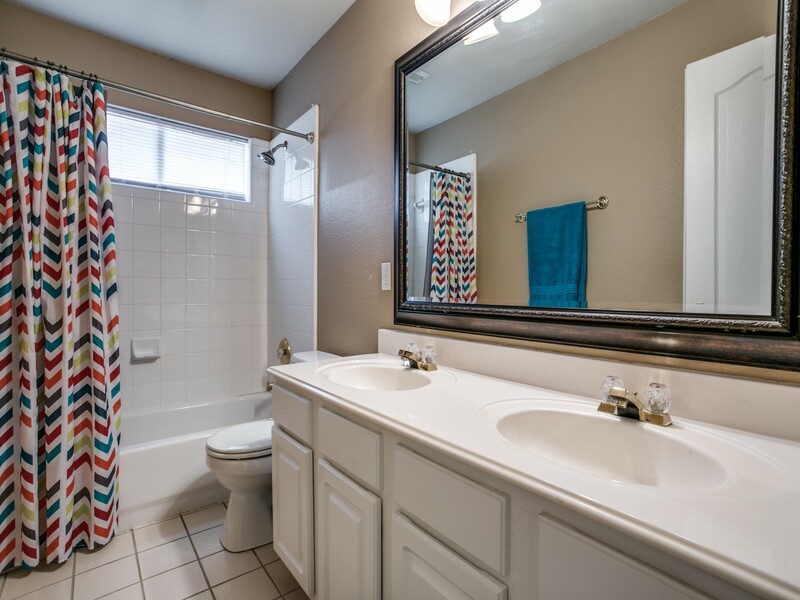 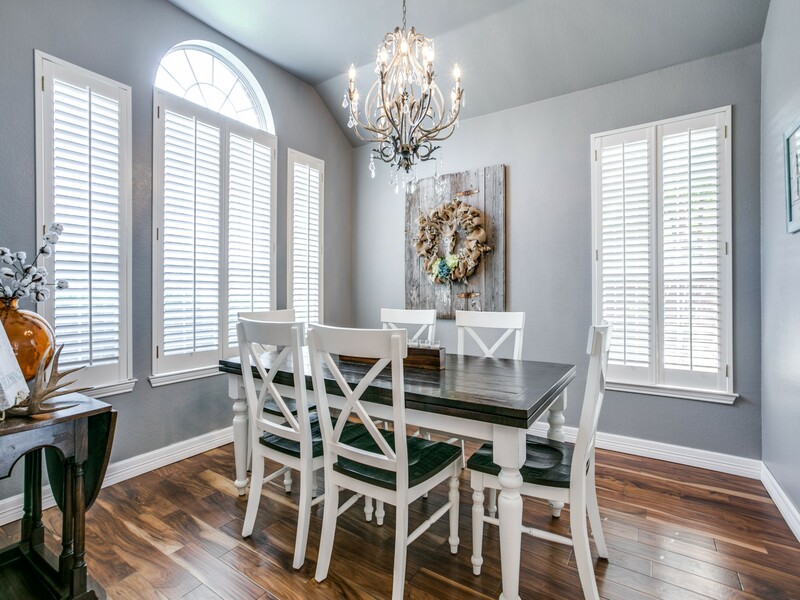 Pretty floors and trendy paint colors add to the move in ready appeal. 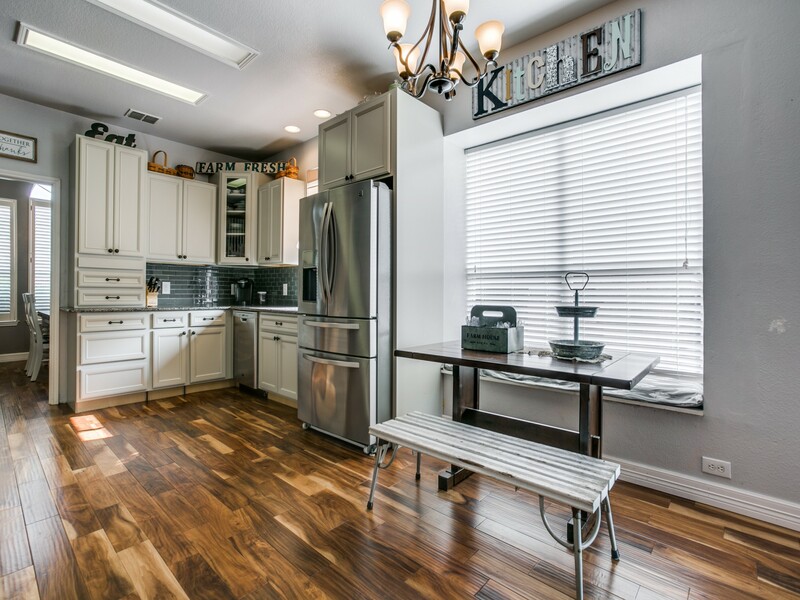 Cooking in the kitchen will make you happy with lots of granite counter space, new appliances, and beautiful new cabinets. 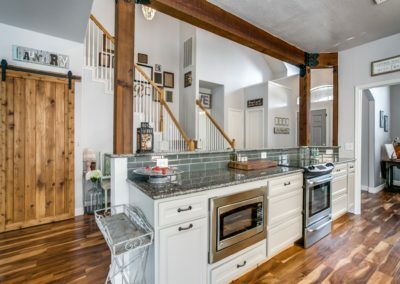 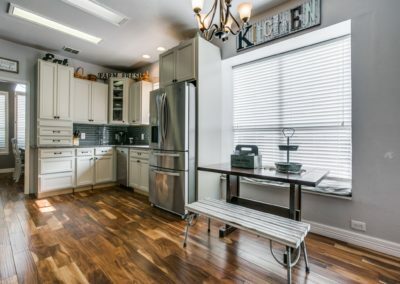 Kitchen opens right up to the living room for flawless flow. 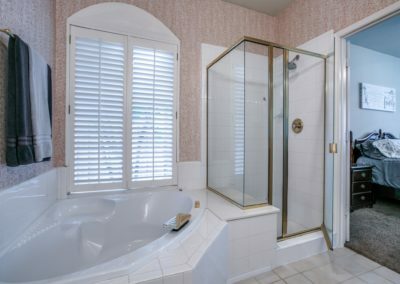 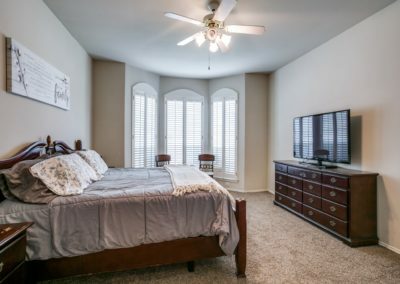 Master suite is big and private. 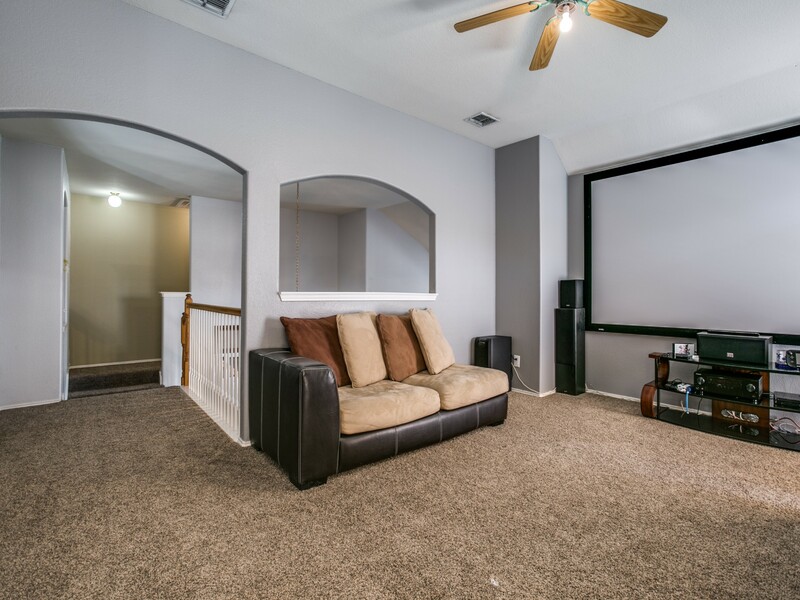 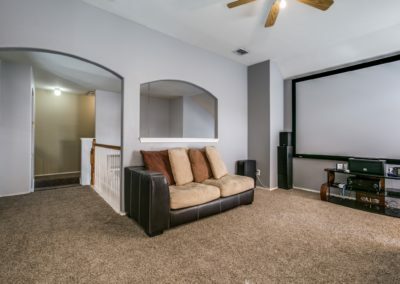 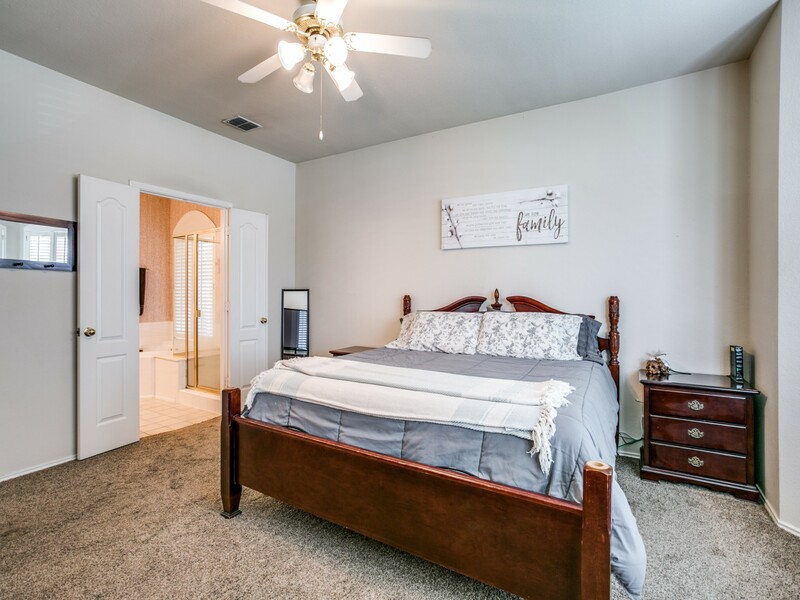 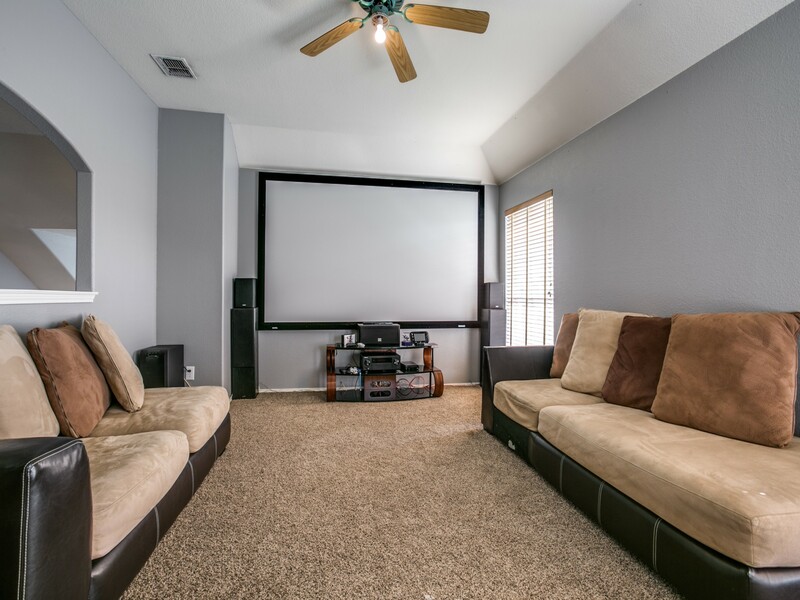 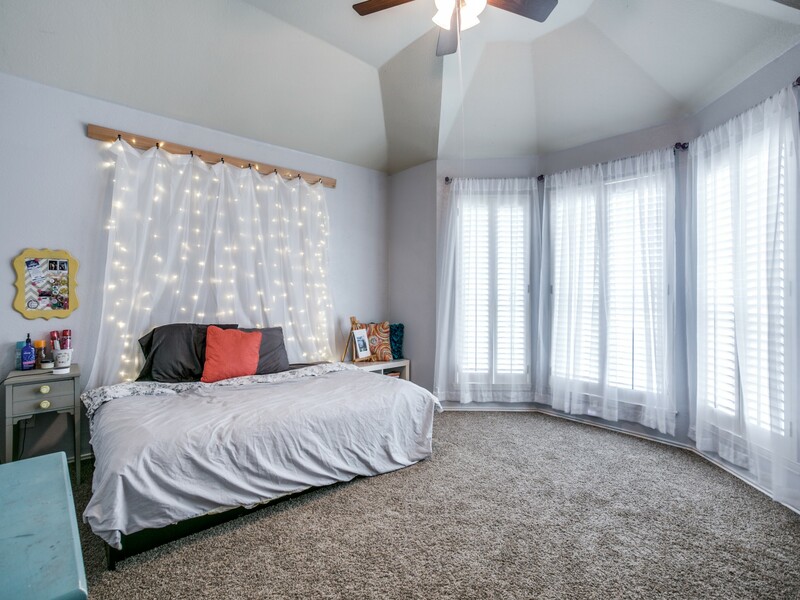 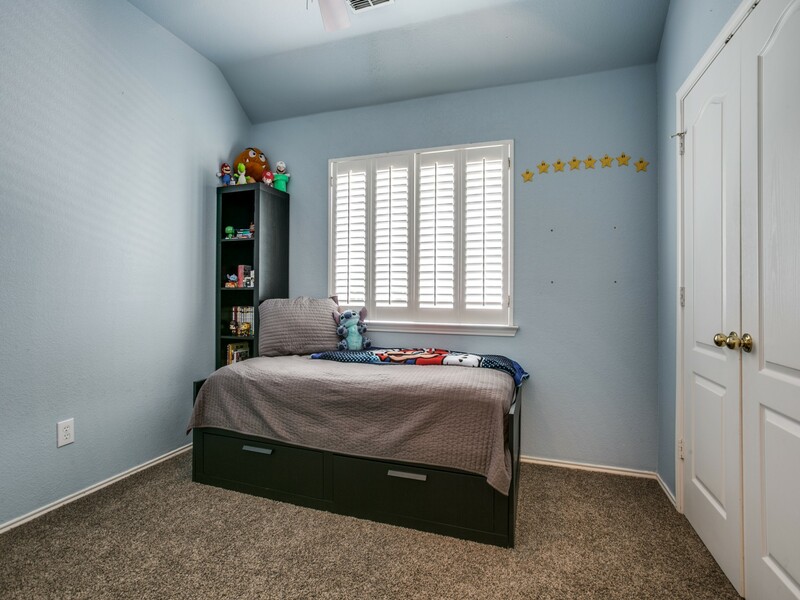 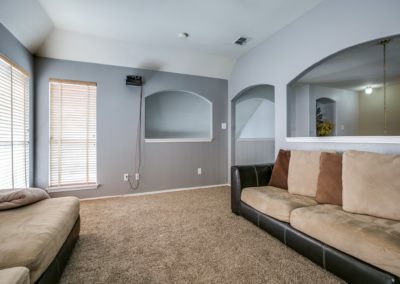 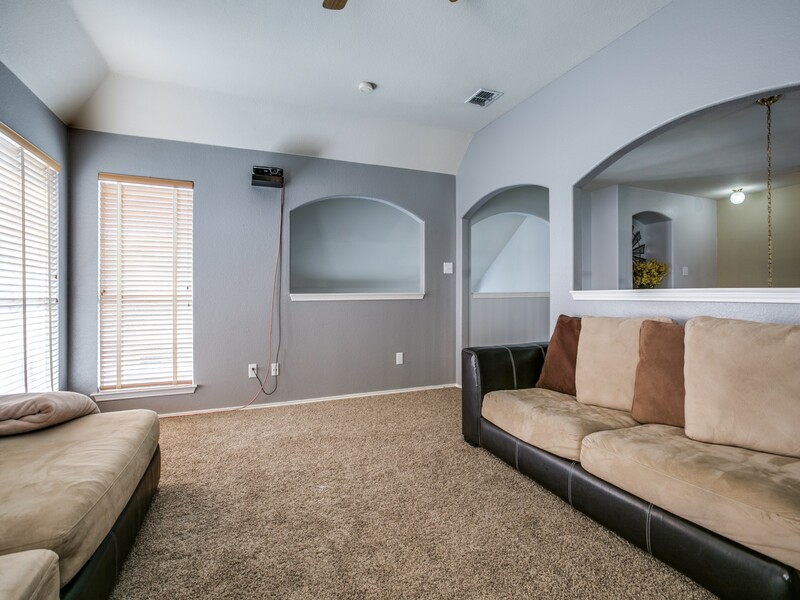 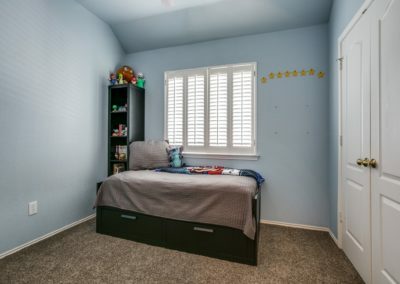 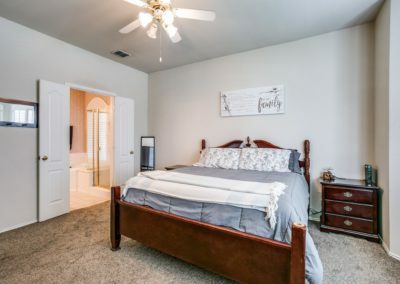 Two more bedrooms, a bathroom, and a versatile game room upstairs add to the great function! 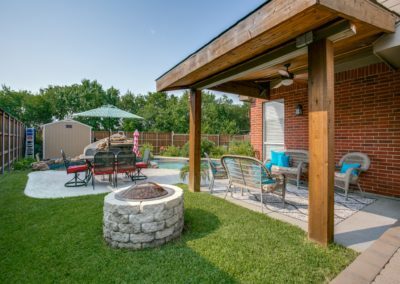 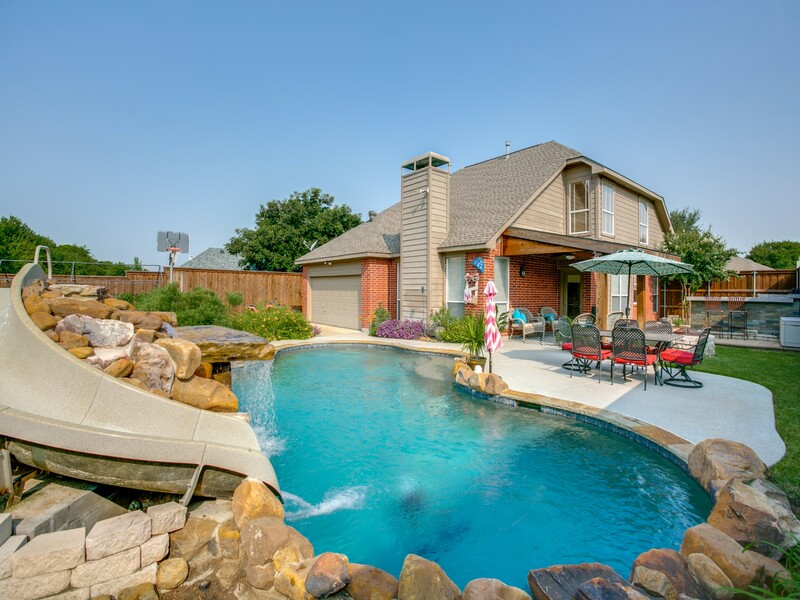 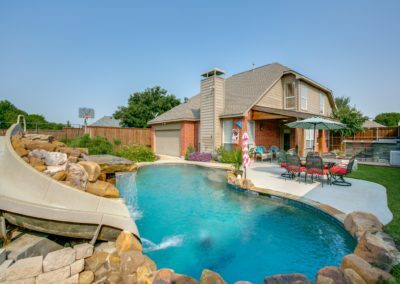 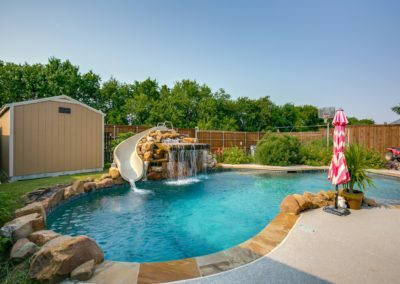 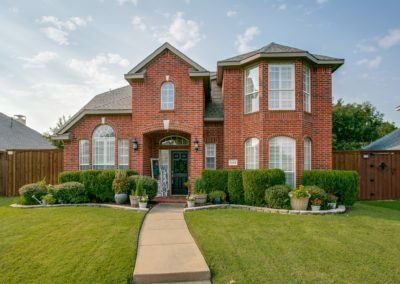 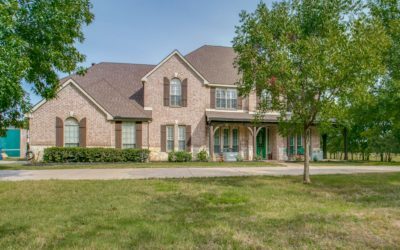 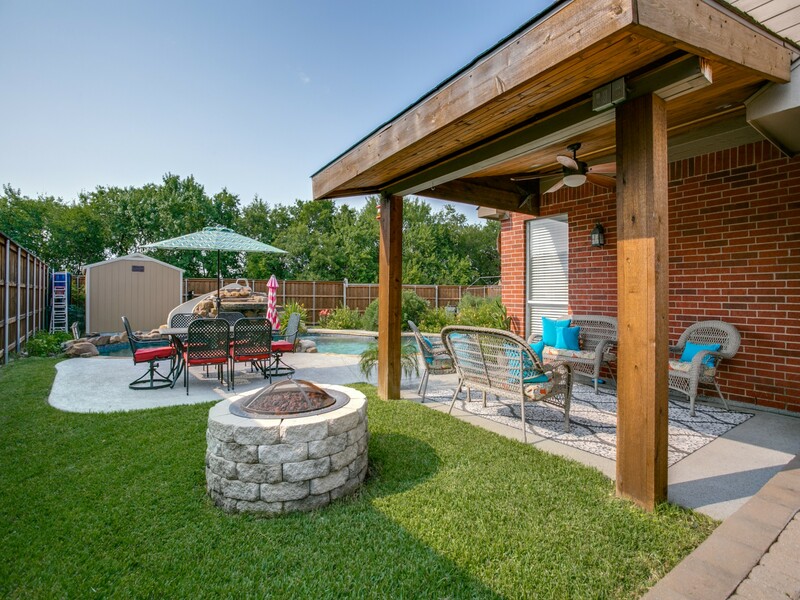 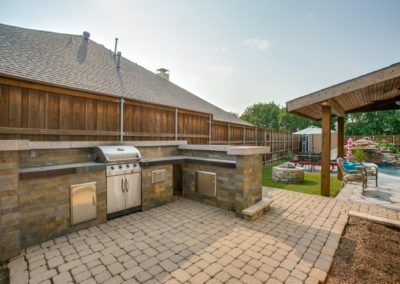 Enjoy the great outdoors on your nice covered patio, gorgeous pool with relaxing water feature or grill in your outdoor kitchen. 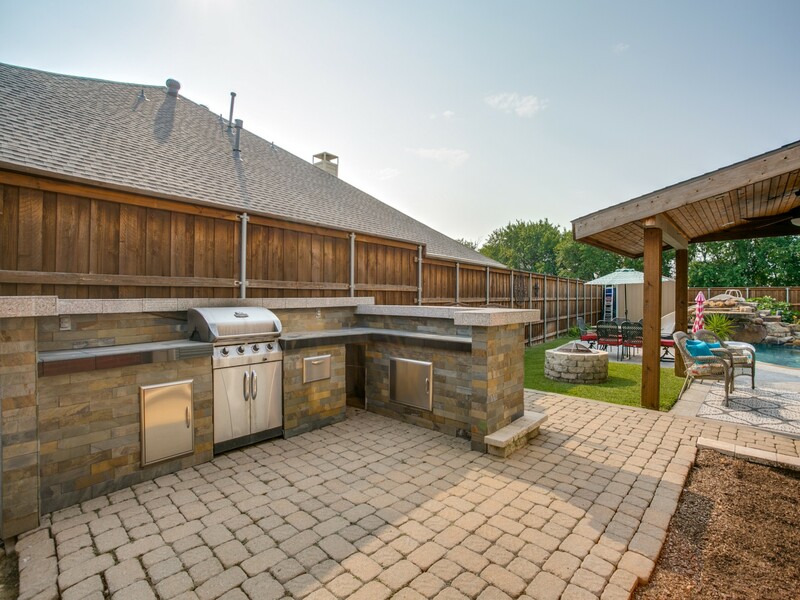 The electric gate and tree line make this backyard private and extra amazing. This is where everyone will want to be!